Year 5 are learning all about Ancient Greece in History this half term. They have been researching the gods and goddess and have started to create a comic based upon the ledgend of Hercules. Year 5 are learning about rainforests in Geography this half term. 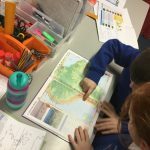 They have been using the information on their knowledge organisers to learn about the location of rainforests according to their climates. They have enjoyed using atlases to locate rainforests on different continents. 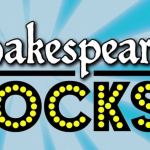 All KS2 children took part in this year's production of Shakespeare Rocks with resounding success. Y3 and Y4 performed their songs with an incredibly mature attitude and a professional approach, their dance moves had the audience in fits of laughter! 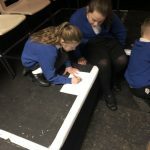 The Y5/6 actors and actresses were simply breathtaking, with many children learning a huge number of lines and acting as if they had years of experience treading the boards on Broadway. The whole show numbers reverberated around the hall and the Romeo and Juliet solo had parents and teachers in tears! Well done KS2! Children really enjoyed learning about the impotance of an active lifestyle, a healthy heart and diet. The Newcastle Eagles players also played lots of fun basketball related games. Year 5 have enjoyed learning about aspects of WW1 within their English lessons. They have learnt about a footballer named Sid Wheelhouse who was part of the Footballers’ Battalion. They have researched information about his life to help their write a biography about him. 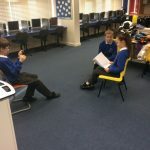 Today they were in role as Sid and recorded interviews. 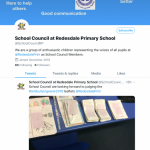 School Council members met on Monday 3rd December to discuss upcoming projects. 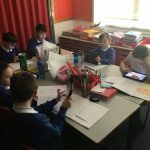 They have started to develop their next newsletter, make posters to promote Mission Christmas as part of Metro Radio and judge the anti bullying week leaflets made in each class. Please give them a follow to keep up to date with their lastest information and news. Children at Redesdale have been preparing for Rememberance Day by making poppies to add to our poppy waterfall. 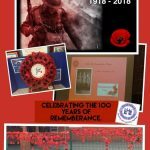 They enjoyed learning about the Great War in our rememberance assembly and took part in a 2 minute silence at 11am. 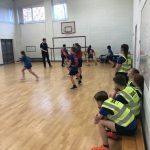 Year 5 are preparing to take part in the ‘Hoops 4 Health’ Basketball Tournament in February. Today they had their first session with Shaun and it was fantastic. They played lots of games to develop their understanding of dribbling, passing, marking and interception. Their skill level is great! We are proud to have launched Primary Leaders in association with Sports Leaders UK. 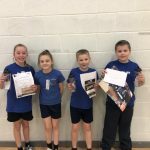 Twenty children were chosen from years 4,5 and 6 who have shown an excellent attitude and commitment to want to run and organise activities during and after school. 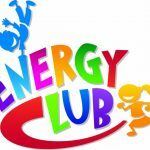 After their six week training children are now running Energy Clubs during lunchtimes and after school with Year 1 and 2 children. Children can earn different levels of leadership award starting with Playmaker, Bronze, Silver, Gold and then Outstanding. Children are reponsible for choosing their activities and running them. Year 5 visit to ALPHABETTI Theatre! Year 5 enjoyed a visit to the ALPHABETTI Theatre to take part in ‘Walter: A WW1 experience’. They learned all about life during WW1 for soldiers at the Doscovery Museum and the. Enjoyed a drama workshop to learn about animals who helped during WW1. We enjoyed watching the production of ‘Walter’ at the Theatre followed by a creative writing workshop and trench experience.